Watch NCIS Season 10 Episode 22 online via TV Fanatic with over 8 options to watch the NCIS S10E22 full episode. Affiliates with free and paid streaming include Amazon, iTunes, Vudu, Netflix, YouTube Purchase, Google Play, CBS All Access, and CBS All Access (Via Amazon Prime). 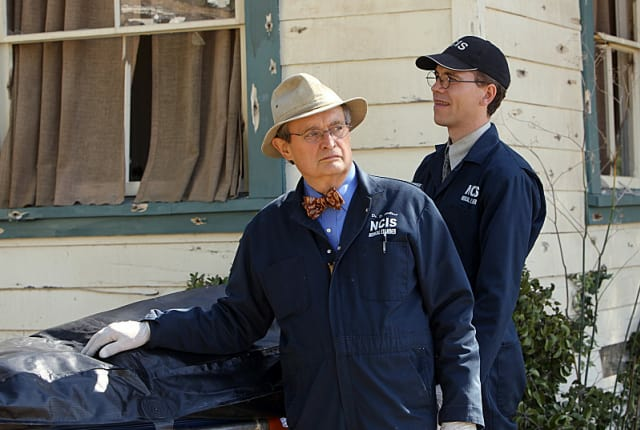 In retaliation for the murders of Eli David and Jackie Vance, the NCIS team feverishly searches for Bodnar despite orders from Homeland Security to relinquish the case. There's something you and NCIS must know. As much as I didn't like or trust Arash Kazmi, I did not kill him. There are others who are responsible for the assassination of your father's Iranian friend. Gibbs: So do we? Lay off? Vance: The man killed my wife, Gibbs. Permalink: So do we? Lay off? The man killed my wife, Gibbs.